Recent advancement in the functionality and new customer features in modern vehicles, especially autonomous vehicles, requires massive computational power and high-bandwidth on-board real-time communication. While there is a lot of research done to meet the challenge of computational requirements, relatively small efforts have been spent to deal with the challenge of supporting the high-bandwidth onboard communication requirements. 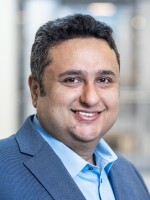 In a recent effort to support high-bandwidth low-latency onboard real-time communication in modern vehicles, the IEEE Time-Sensitive Networking (TSN) task group has developed a set of standards targeting different classes of real-time traffic, support for time-triggered traffic at the same time as non-real-time traffic, support for resource reservation for different classes of traffic, support for clock synchronization, and providing several traffic shapers. However, a complete development support including modelling, timing analysis, configuration, deployment and execution for vehicular applications that use TSN is still missing from the state of the art. Since TSN is a complex technology with many options and configuration possibilities; taking full advantage of TSN in execution of complex vehicular functions is daunting task. This project aims at developing innovative techniques to provide a full-fledged development environment for vehicular applications that use TSN as the backbone for on-board communication. One unique characteristic of the project consortium is that it offers a clear value chain from academia (MDH), through the tool developer/vendor (Arcticus), and to the end user of the technology (Volvo), who will use the techniques and tools to develop prototype vehicles.